Rockall is an uninhabited – and uninhabitable – granite islet in the North Atlantic Ocean, covering 784 sqm and claimed by the United Kingdom, despite beings some 300 miles off the west coast of Scotland. It is perhaps most well known, of course, for giving its name to one of the sea areas named in the British Met Office shipping forecasts. 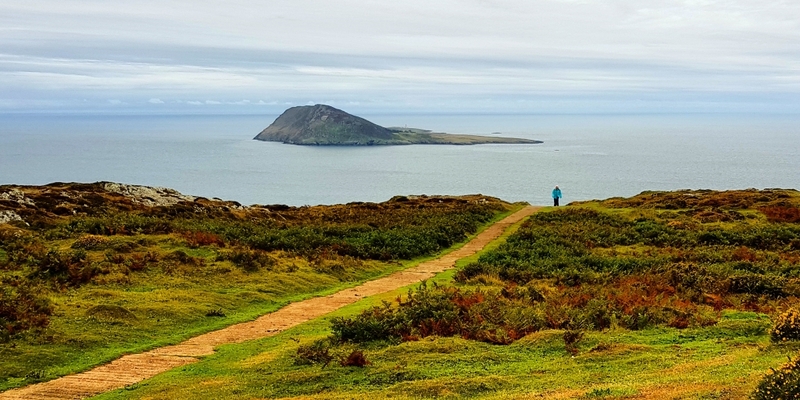 Over the years, plenty of local Cinderella stamps have appeared for British islands with a dubious postal requirement and, in some cases – such as Stroma or Staffa – no population at all. However, when we recently came across a stamp bearing the name of Rockall – a location once described as “no place more desolate, more despairing, more awful to see in the world” – we were suitably intrigued about who might be behind such a stamp, and why. 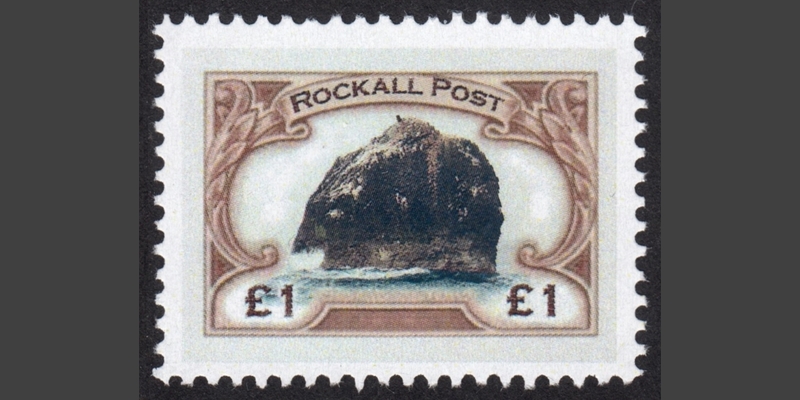 It turns out that Rockall’s sole stamp issue to date related to a charity expedition to the island in 2005, under the name “Rockall Ho!”, where a team raising funds for Mental Health Media’s MEdia initiative successfully landed on the rock on 16 June and raised the flag of the “Peoples’ Republic of Rockall”. In doing so, they joined the fewer than 20 people who are ever confirmed to have set foot there. Designed and produced by Mark Valentine and Colin Langeveld as part of their “Strange Stamps” series of fantasy issues, just 500 copies of the stamp were reportedly produced, in February 2005, seemingly to support the expedition’s fundraising effort. Later, in June 2005, a slightly modified version of the stamp was issued by Discworld Stamps, with the approval of Terry Pratchett, and used on commemorative covers. As far as we can tell, the stamp that we found – and that we’re selling on eBay – is one of the 500 originals. Based on the limited information available, our research indicates that the later Discworld version was slightly smaller in size than this one, and omitted the light grey border. 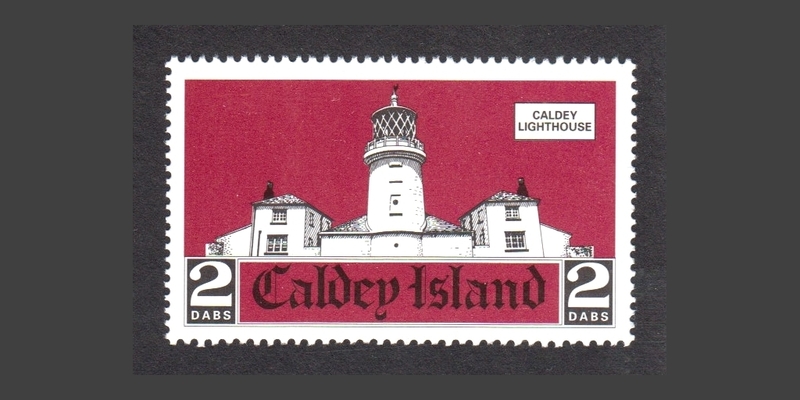 Also, that later version appears to only have been used on covers (500 in total), cancelled with a “Rockall – VI 2005 – Ultra Mare Usque Nusquam” postmark alongside a stamp from the fictional city state of Ankh-Morpork, depicting the Discworld island of Leshp – which bears a striking resemblance to Rockall. Incidentally, the Latin used in the cancellation – “Ultra Mare Usque Nusquam” – translates as “Beyond the Sea Nowhere”. A fitting motto, perhaps, for this “awful” yet intriguing lump of rock in the Atlantic, and a place now immortalised in philatelic history thanks to its sole Cinderella stamp issue. Posted in Blog, CinderellasTagged Ankh-Morpork, Colin Langeveld, Discworld Stamps, Leshp, Mark Valentine, Rockall, Rockall Ho!